People have been fascinated with “the final frontier” since the dawn of the day when space travel became possible, if not before. With movies like Star Trek and Star Wars being at the peak of popularity and the global reaction to Elon Musk’s SpaceX rocket launch, the interest in colonization outside of our planet has never been higher. But while some of us only dream of space travel, one girl is making it her reality. Alyssa Carson is a 17-year-old girl from Baton Rouge, Louisiana whom NASA is training to become an astronaut. 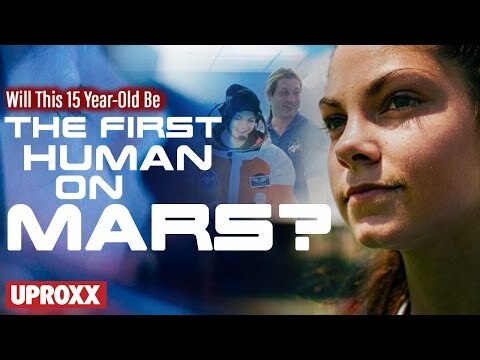 Her dream is to be the first person on Mars and she’s aiming for the 2033 first human mission to Mars. And the girl certainly has everything she needs to get there. Being the first person to complete the NASA Passport Program by going to all 14 NASA Visitor Centers, Alyssa is also the youngest person to be accepted and graduate the Advanced Possum Academy, officially making her certified to go to space and an astronaut trainee. On top of astronaut training, she is also studying all of her school subjects in four languages (English, Chinese, French, and Spanish). “The biggest [challenge] is time and getting everything done at such a young age while also still attending high school. Continuing to train at a young age will also be further difficulties for me but I have done great with it so far.” Alyssa told GIGGAG. As her friend mentions in the video below, Alyssa is well aware she can’t get married and start a family, however, Carson understands it and is determined to put it aside in order to achieve her dream. Besides all studying and training, Carson is also a public speaker, aiming to draw interest to space exploration, as well as encourage everyone to seek their dreams. “Always follow your dream and don’t let anyone take it from you,” she says. When asked about personal inspirations, Carson said that “All astronauts, especially women astronauts as they have made the road for me to follow” inspire her.